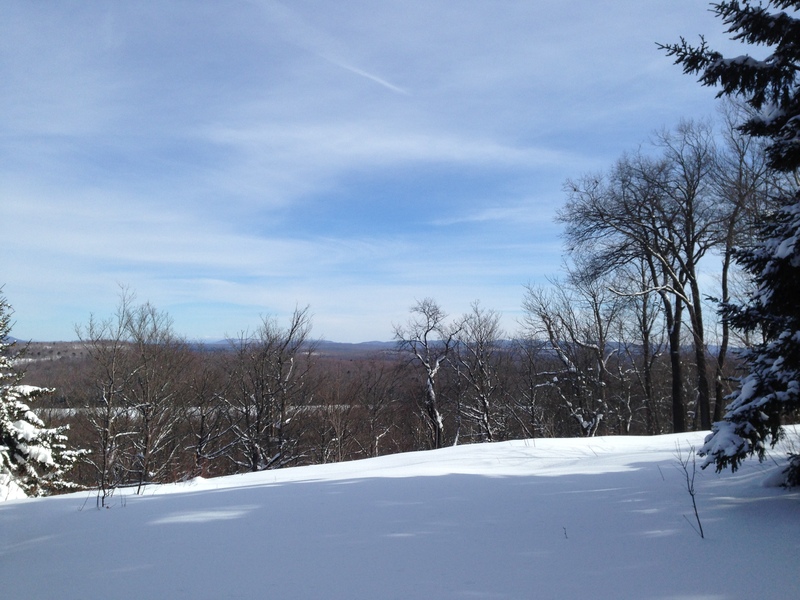 This small mountain in St. Lawrence County makes a great hike for the whole family. Beginning at the parking lot near Tooley Pond, a short walk north up Tooley Pond Rd. leads to the entrance to the East Trail. 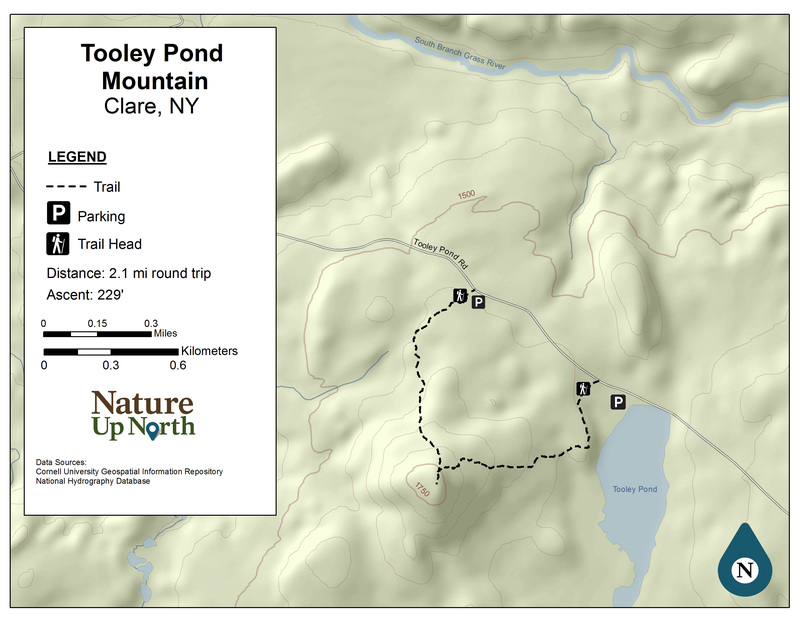 The trail crosses a river with a short climb and circles around offering views of Tooley Pond through the trees. Continuing on, the trail continues to gently climb until reaching a junction with the West Trail just before the peak. Bearing left, the trail continues to a partly wooded summit with a clearing where a fire tower once stood offering views of peaks in the distance. To make a loop, bear left on the return and follow the West Trail to another parking area along Tooley Pond Rd. With a 229 foot gentle ascent, this trail is ideal for the whole family in any season. Tooley Pond Rd receives minimal maintenance during the winter months – 4wd vehicles are suggested during this time.